93 riders started, 57 classified finishers. 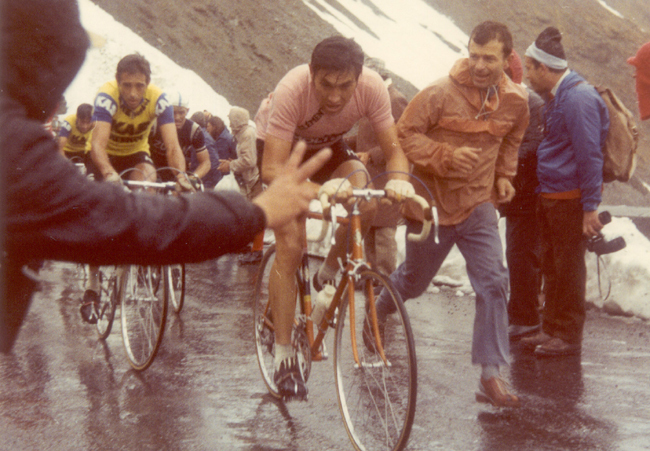 Eddy Merckx in the 1972 Giro, stage 17, riding up the Stelvio. William Bilsland (Great Britain) s.t. Eric de Vlaeminck (Belgium) s.t.